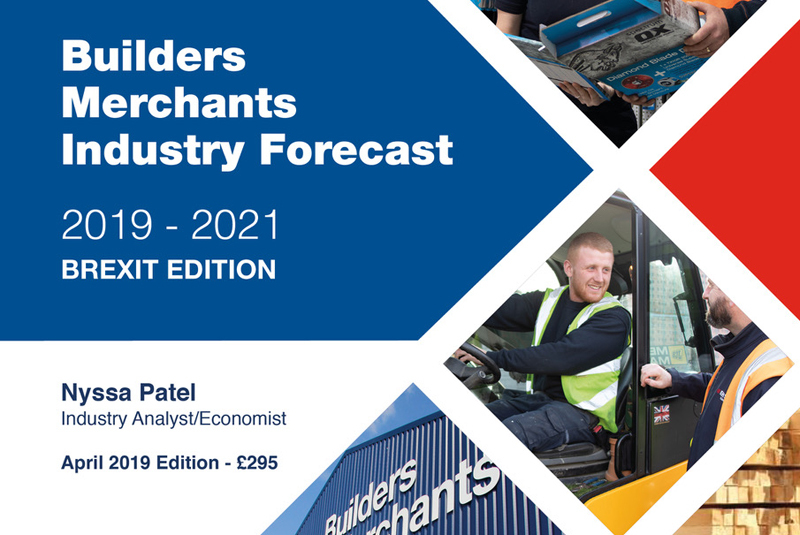 The Builders Merchants Federation (BMF) has published the first edition of the Builders Merchants Industry Forecast, covering the period 2019-2021. This follows an intensive programme to develop a forecasting model specifically aligned to the UK merchant sector. The BMF’s new forecast model has been developed to support members in future planning by providing consistent updates on forecasted industry sales. The data will be updated on a quarterly basis and the initial report is a special Brexit edition, including forecast results based on both a soft and hard Brexit. The report and quarterly updates will be supplied free of charge to BMF members, with the forecast also being available for others to purchase, with the initial report priced at £295. The BMF’s econometric forecast model was developed with the support and assistance of the EU KEEN project and Dr Erez Yerushalmi, Senior Lecturer in Economics at Birmingham City University. The model uses sales data from the Builders Merchants Building Index (BMBI) as the main sales variable coupled with other key variables to forecast what is likely to happen in the next 12 months and beyond. BMBI data is collated monthly from 80% of generalist builders’ merchant’s sales throughout Great Britain and analysed by research company, GfK. Builders merchants sales are affected by a number of internal and external factors relating to the wider UK economy. During development over 20 other variables were tested to analyse their correlation with the BMBI. The final forecast model is based on the five variables that indicated the highest level of correlation with builders’ merchant’s sales, namely: Repair, Maintenance and Improvement, Weekly Household Income, Season, All New Work, and Number of trading days (per month). Within the model, variables are forecasted using an Auto Regressive Integrated Moving Average (ARIMA) model, which is said to be ideal for analysing time series data. For more information, contact Nyssa Patel, BMF Industry Analyst/Economist on 02476 854994 or email nyssa.patel@bmf.org.uk.